The hotel offer several roomtypes that all come with the highest luxury standards but vary in size, style and furniture. The 7 room categories start with Deluxe Rooms going up to a 400 m2 panoramic suite of which some say it is the most beautiful hotel room of Switzerland but we rather let you decide. 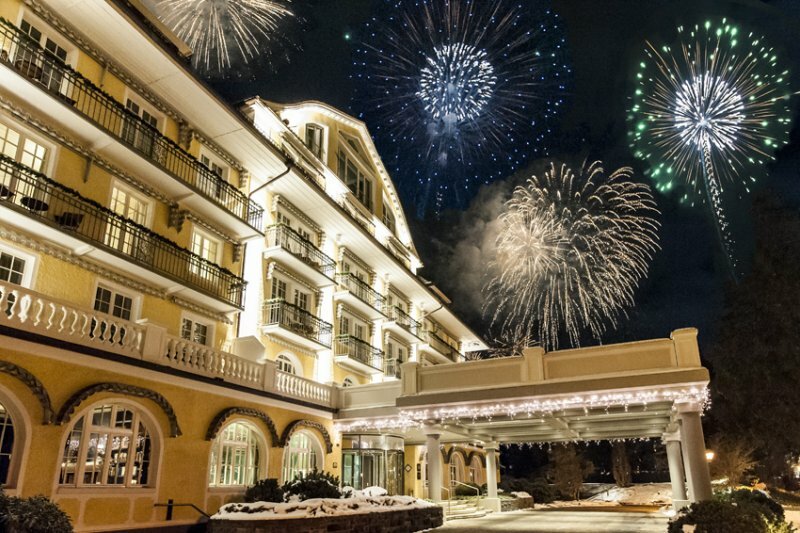 The hotel is fairly new compared to some local, exclusive classics but as some already speak of a 'new born classic, you may expect the charm and warmth Gstaad is known for. What distinguishes the Alpina is the modern elements that have been integrated in a distinguish way that you don't even realise it's there. The Alpina houses 3 top class restaurants of which two are rewarded with a Michelin star and Gault Millaut points. The main restaurant is called Sommet and is well known in Gstaad and the surroundings. The menu is composed by Martin Göschel and is served with some of the world's greatest wines you can thinks of. The sommelier will assist you in choosing the right vintage to accompany the impeccable dishes. Even for refined Japanese dining you do have have to travel far as the Alpine offers a superior restaurant called Megu. Head Chef Takumi Murase and Head Sushi Chef Tsutomu Kugota, both trained at MEGU in New York, are waiting to serve you freshly prepared sushi and sashimi accompanied by the best sake's. The hotel comes with a big, state of the art Spa. Inside you will find several pools,a wide range of wet facilities, including hammams, saunas, experience showers and hot and cold plunge pools, a well equipped gym that offers personal training sessions, one-to-one consultations and relaxation techniques to help you achieve an all-round healthier lifestyle, a yoga studio and relaxation areas. The treatment rooms are the perfect place for all kinds of spa treatments that can even be extended to packages that cover multiple day treatments. All treatments are done by experienced professionals that make use of state of the art skin care products. Hotels like these often come with exceptional services and let's say the Alpina is not an exception... You can have an inhouse shopping experience in the comfort of your own room. The shop will come to you instead of the other way around. The rewarded concierge service (Clefs d'Or) is capable of handling almost every request you can think of. The hotel succeeded in blending modern luxury into a classic interior. Classy does not have to be old fashioned so is proven by The Alpina. The interior of the restaurant Megu is just like the food, tasty and alust to the eye. If you like Japanese of course. 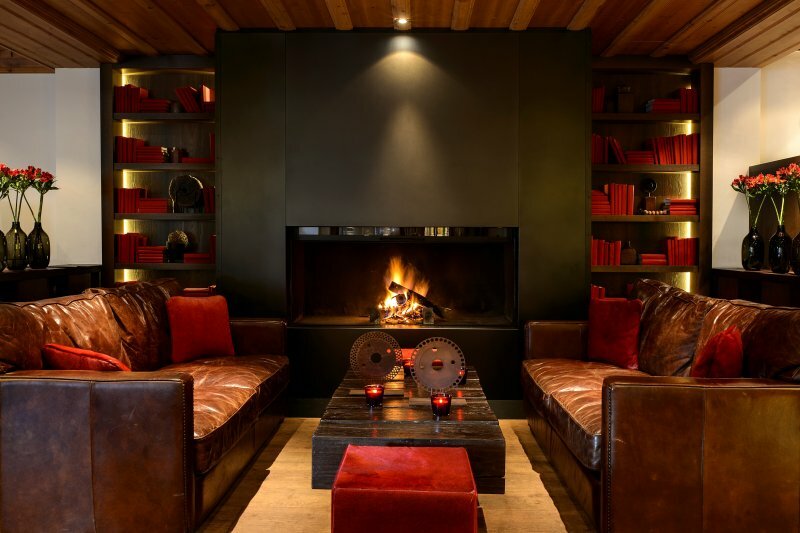 The hotel is located idealy within the village of Gstaad, overlooking the valley, a bit elevated but not hard to reach. 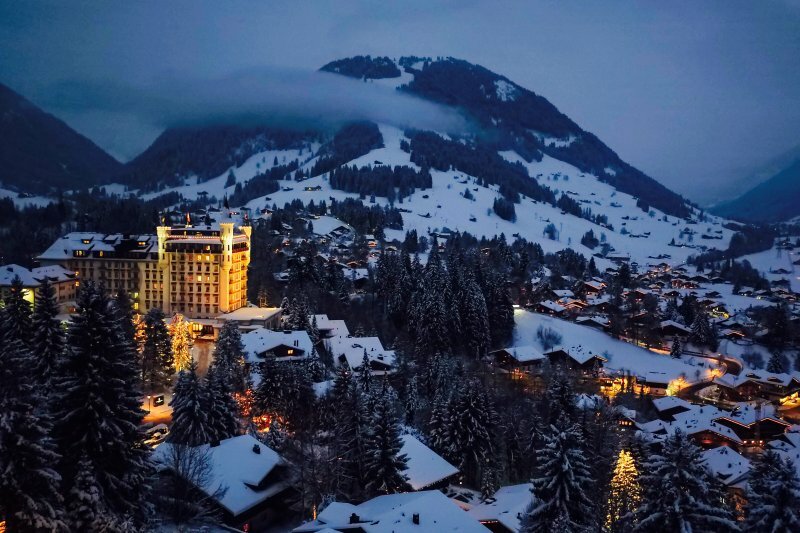 Each time you look out your window at night you will be amazed by the beauty of the surroundings and Gstaad. The Six Senses Spa is of excellent class and with a surface of over 2000 m2 ah world of relaxation and tranquillity. the perfect place to reset your mind and body.